Best-selling author Omar Tyree has written such popular novels as For the Love of Money, A Do Right Man, and Flyy Girl. 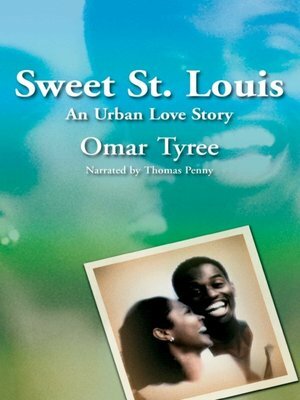 Sweet St. Louis is a compelling story of looking for love—and trying to hold onto it. Anthony "Ant" Poole is a player. He tries his latest pickup line, "A piece of me for a piece of you," on Sharron Francis. Sharron is intrigued, yet she's looking for something more meaningful—and a commitment. With a little bit of fine tuning, she figures, Ant could be just the man she needs. And as they grow closer, Ant wonders if Sharron might be "the one" for him. But just when it seems they've finally found what they wanted, the strength of their new love is tested when Ant gets caught in the wrong place at the wrong time. Tyree is a master of exploring the ups and downs of modern relationships. Narrator Thomas Penny takes this story up another notch, perfectly capturing the essence of two strong, smart people taking a chance on one another.